• PLOT SUMMARY: Variant Cover by Harvey Tolibao. 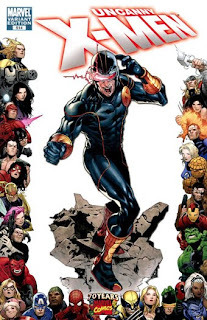 Dark Avengers/X-Men Utopia: Part 4 of 6 - UTOPIA rages on! Norman Osborn's victory in San Francisco is cemented when the Dark X-Men succeed where the X-Men can't. All the while the Dark Avengers are forced to watch from the sidelines. But how long will Bullseye and Ares sit idle? Written by MATT FRACTION. Pencils by TERRY DODSON.